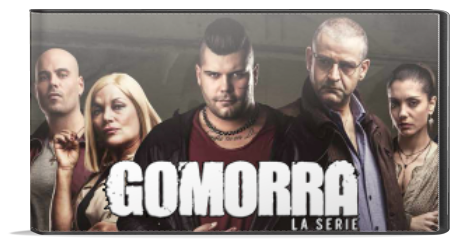 Gomorra is an Italian television crime drama series. It is based on the book Gomorrah by Roberto Saviano, and on the film Gomorra directed by Matteo Garrone, which won the 2008 Grand Jury Prize at the Cannes Film Festival. Gomorra is set in the suburbs of Naples, focusing on organised crime and the relationships of gangsters, drug dealers, and ordinary people. It offers a different style of mafia portrayal from previous series such as The Sopranos, or other Italian series like Il Capo dei Capi. Gomorra is similar to The Wire in showing street-level crime and its hierarchical organisation from the pavement up to the office chair, and giving an audience a story about external and internal power struggles between criminals and delinquents. Described as “ugly in a good way,” the series is fast-paced, concentrating on cold emotive content for dramatic effect. No problem 🙂 have fun. Apology for I said ‘bro’ to you. I just saw the girl as for your profile photo. Did I make mistake? what’s the song @38:37 please ? I cannot express my gratitude to you bro! I really appreciate what you are doing for us. Thanks! No worries 🙂 have fun.